To raise awareness and critically-needed funds to fight the crippling disease polio, Rob Deiana and Matt Paullis from the Rotary Club of Marblehead Harbor plunged into the icy waters off of Gloucester on January 23rd. 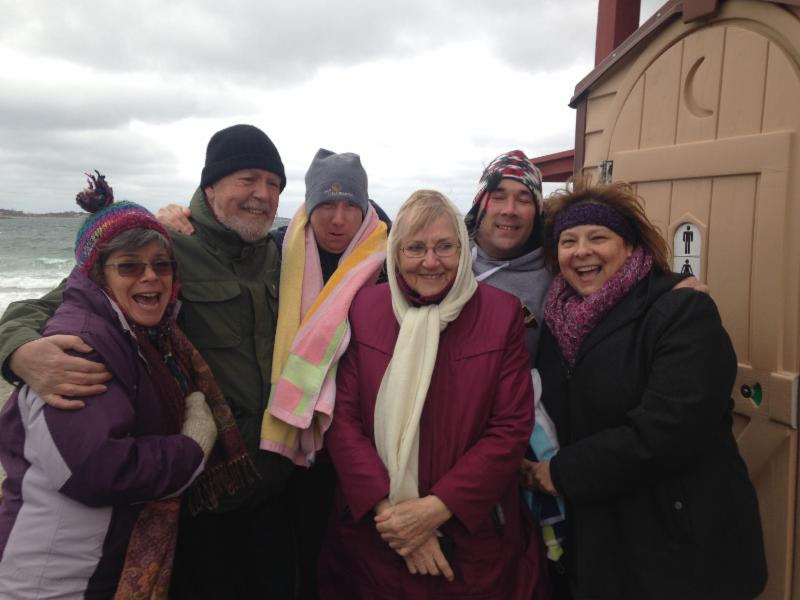 It was part of the Rotary District 7930’s 6th Annual Polar Plunge. The effort raised just over $70k for the Rotary Foundation to eradicate polio around the world. The Polar Plunge comes at an important time in the fight against polio, which would be only the second human disease to be eradicated. Case numbers of the disease have never been lower, and only two countries (Afghanistan and Pakistan) have never stopped transmission of the wild poliovirus. It was only last September that Nigeria marked a year without a new case and was removed from the endemic list. Funds raised for this campaign not only work to eradicate polio, they also strengthen our global responses to many communicable diseases such Ebola. Rotary, a humanitarian service organization with nearly 34,000 clubs in more than 200 countries and geographical areas, made polio eradication its top priority in 1985. Rotary has since contributed US$1.2 billion, and its members have logged countless volunteer hours to help immunize more than two billion children in 122 countries. Overall, remarkable progress has been achieved in the fight against polio. Since 1988, the number of polio cases has been reduced from 350,000 a year to just 72 in 2015. The Americas were declared free from polio in 1994, the Western Pacific region in 2000, and Europe in 2002. A highly infectious disease, polio still strikes children mainly under the age of five. Polio can cause paralysis and sometimes death. There is no cure for polio, but for as little as 60 cents worth of oral vaccine, a child can be protected from the disease for life. For further information on the effort to eradicate polio, visit www.endpolio.org. The Marblehead Harbor club has raised 2/3 of its $3000 goal this year.